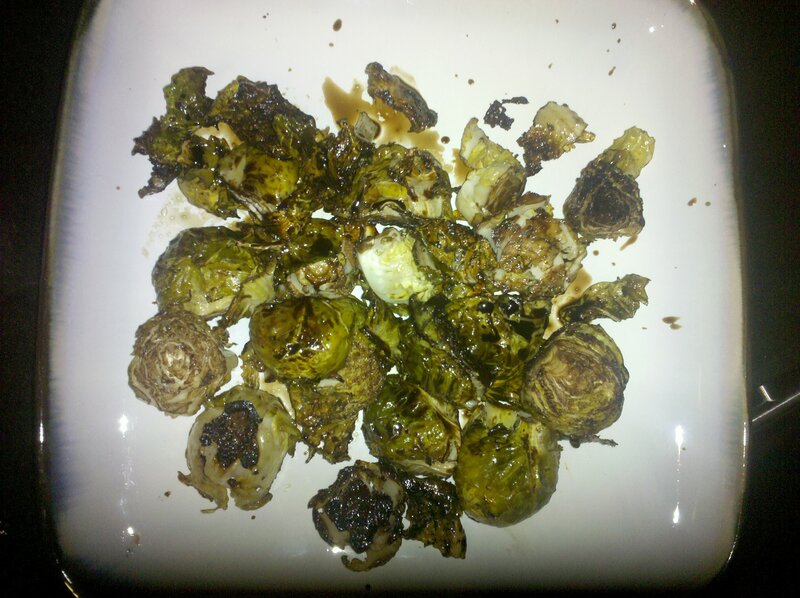 As you might know, I LOVE brussels sprouts…particularly when roasted. My method (hocked from Sabrina and other bloggers) includes cutting the sprouts up (either in halves or smaller, eliminating the bitter end) and mixing with a bit of olive oil first to coat. Then I add Balsamic vinegar and stir. Then I add sea salt. A Lot of sea salt. I spread the sprouts on a baking sheet covered in tin foil for easy clean-up and cook for 20 minutes on 400 degrees. Holy Yum. Well yesterday, I upped the ante and added…a balsamin reduction sauce! Here is my balsamic "reducing"
You must try this. The reduction is SO easy! Just pour twice your desired amount of vinegar into a sauce pan add a tsp of sugar (I used a cinn/sugar mix), bring to a boil, and “reduce” until you have half or less left. 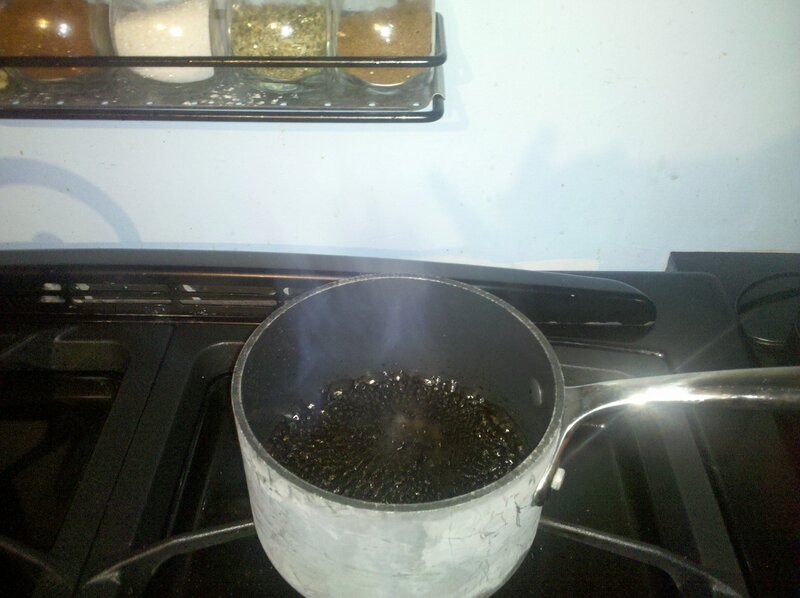 Reducing just means to boil…I know- I asked that too! Anyway, moving onto a few more food/drink related comments. 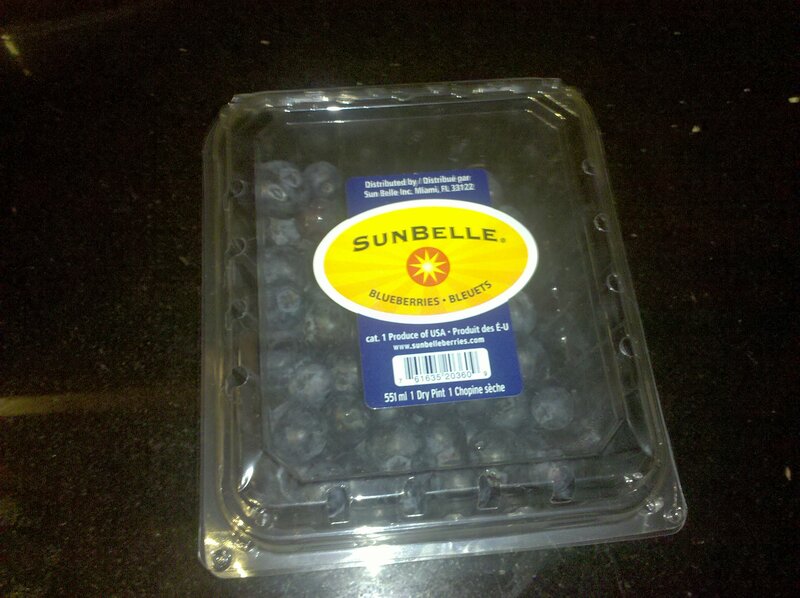 ONE: My new thing is keeping this on my kitchen couter to combat un-healthy snackiness. AND it helps me make my fruit quota. I just grab a handful at a time when hunger strikes or I am cooking and can’t wait. 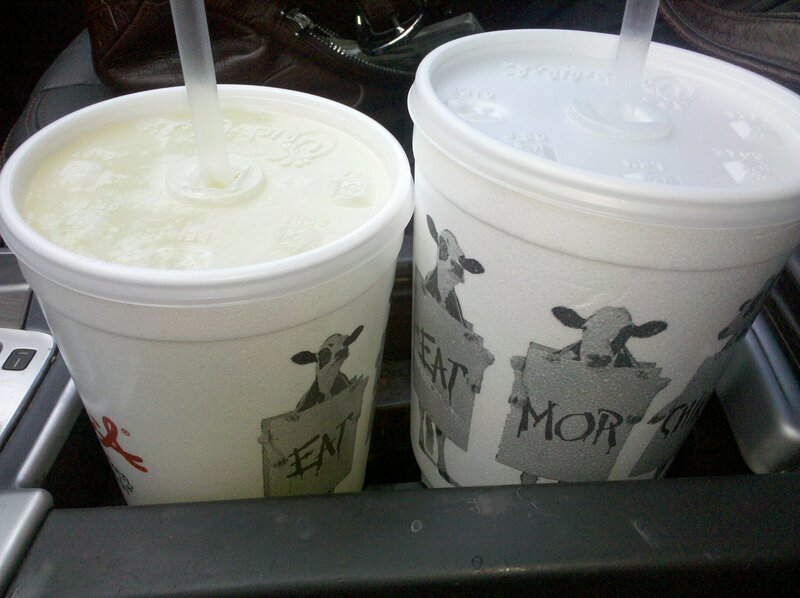 Chic-Fil-A Diet Lemonade! MY FAAAAVE! YUM!